Supporting families with hand in hand parenting tools Learn the latest developmental neuroscience and valuable new skills for supporting parents and children in your practice. Join Karen Wolfe, LMFT for an eight-week intensive course in Hand in Hand Parenting, designed for therapists, social workers, early-childhood educators, childcare providers, and other professionals who care about families. Emotional and behavioral issues are a larger and larger concerns for families. And while you may understand that parenting can get very difficult in the places that were hard for the parent in their own childhood, it can be a struggle to share this information in a useful, actionable way. Expertise in the Hand in Hand Parenting approach. You will practice in your own family and in your professional practice. Discussion of developmental theory and neuroscience, with a focus on practical and experiential application. Guidance on using these practices both in your family and with your patients. Opportunities to share your own experience. A portion of each mentoring session devoted to your specific questions and experience. An online classroom with materials for on-going discussion and sharing of ideas. All participants will also have full access to the videos and written materials from our Hand in Hand Parenting Starter Class, including the Parent Handbook. You will spend several hours each week practicing new skills with the parents and children in your family and professional practice. Additional educational materials and research will be made available to match your particular interests and client needs. Total weekly time commitment of 4-6 hours per week. “Non-clinical language: This intelligent, comprehensive parenting approach is stripped of clinical jargon. The vernacular is connecting, rather than distancing. At the same time, psychotherapists will quickly notice similarities to relationally-oriented clinical concepts from D.W. Winnicott, Wilfred Bion, John Bowlby, Stanley Greenspan, Jane Ayers, Bessel Van der Kolk, Allan Schore, Heinz Kohut, and others. 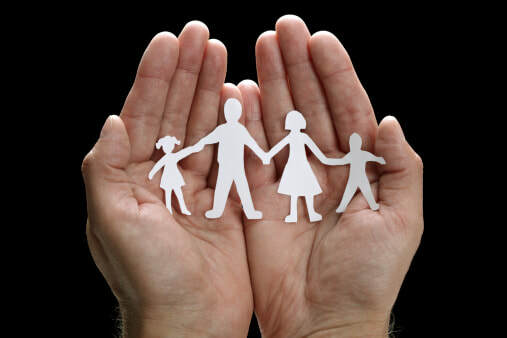 Hand in Hand-Parenting by Connection operationalizes psychodynamic theory for parents who want greater emotional connection with their children, in addition to children who are better behaved. It greatly enhanced my ability to connect with parents in my practice, and provided me with relationally oriented tools to offer them. “Group Format: I learned a well structured format for facilitating parent groups within my practice. Prior to this class, I was not particularly interested in mastering the therapeutic elements of group process. This group format beautifully balances the delivery of didactic content, with the delivery of noninvasive, emotional support. By the end of the class, I felt very well cared for, as well as very well informed. “Emotional release is valued: Perhaps the most distinctive element of this parenting approach is the value it places on emotional release in the presence of a caring person who is receptive and emotionally present. Listening well to children, even during tantrums or aggressive outbursts, is at the heart of this approach and signals a powerful paradigm shift in contemporary thinking about the work of parenting. This class challenged my thinking about what an appropriate consequence is. It gives alternatives to behavioral strategies aimed at extinguishing, shaping, or distracting children away from their feelings via rewards, punishments, and the punitive use of time-outs. It also offers an alternative to educational strategies, which often rush children towards “thinking” and “using words” too soon. It details how to safely and respectfully listen to children’s emotions, while setting clear limits and maintaining high behavioral expectations. All this is congruent with contemporary thinking in the fields of both trauma recovery, and the neuroscience of secure attachment formation. This “time in” approach is also distinctively anchored in the understanding that parents too, need more support and opportunities for emotional release, in order to provide secure attachment figures for their children. “Greater respect for the work of parenting: This strategy doesn’t just instruct parents to find more support, while subtly implying, “you can pay me or another professional for that support, or you’re on your own.” Instead, Hand in Hand Parenting offers a detailed framework for increasing support, which parents can take away and implement for FREE. Fostering this kind of agency and leadership is a very respectful way to conduct business with hardworking parents. Paradoxically, when parents are supported with fresh ideas to build more support into their lives, I found that they tended to remain in group, or individual treatment for longer. “Parenting in the Context of Culture: Where D.W. Winnicott said, “There is no baby, without a mother,” we might go on to say, “There is no mother, without a community.” I appreciated the opportunity to lean out from the comfort of my professional specialty, and consider how common cultural attitudes often leave parents feeling inadequate and isolated. This provocative topic is addressed thoughtfully, without being heavy-handed. Hand in Hand Parenting offers intelligent thinking about the work of parenting, as intentional counterpoints to subtle, negative messages that are culturally conveyed. "It has been tremendously gratifying to weave this parenting strategy into my clinical work with parents, and into my home life with my own children." This course is designed for medical professionals who work with parents, children, and families. What is the Hand in Hand Parenting approach all about? How is it different from other approaches? 1) Connection is absolutely vital to the well-being of children. Being in good connection with parents and caregivers who are tuned in to their emotional state allows children to learn well, build loving relationships, and adjust flexibly to the changes that life brings. 2) Children often go through challenging experiences they can’t fully comprehend, which can cause big upsets to arise. When this happens, they feel disconnected and aren’t always able to tell us how they’re feeling. Instead, they signal this to us through off-track behavior (e.g. whining, inflexibility, impulsivity, aggression, etc.). 3) We can help children heal from this sense of broken connection by listening to them and understanding their emotional expression is part of a natural recovery process. Listening is the cornerstone of this approach. Hand in Hand offers four listening tools that parents can use to listen to their children with love and attention so the children have a chance to cry, have a tantrum, and laugh when life becomes too overwhelming. These listening tools help children reconnect with their parents and heal from hurt. Our experience as well as the science tells us that having a chance to release tensions in these ways allow children to once again engage flexibly and lovingly with people around them. 4) In order for parents to listen well to children on a regular basis, they need to be listened to regularly themselves. Hand in Hand offers two listening tools that parents can use to build support for themselves so they can replenish their energies and do the important emotional work of parenting. For more information about this approach, read the article Partnering with Your Child by Patty Wipfler. How will I be able to use the Hand in Hand Parenting Listening Tools in my professional practice? What implications can this class have on my practice? The Hand in Hand Parenting approach is both concrete and profound. The six Listening Tools we teach can provide immediate support and relief to overwhelmed parents as well as offer the possibility of long-term transformation, depending on what people are ready for and open to. You will feel confident in adding these tools alongside other approaches you may use to work with adult and child clients. Because the Hand in Hand Parenting approach is a non-judgmental, respectful, and strength-based approach to parenting, your clients will find themselves feeling deeply respected and accepted by you, which will in turn inspire them to make the changes necessary to move forward in their lives. Are there any prerequisites for taking this course? No. Although we do suggest that you take the Hand in Hand Parenting Starter Class in order to become familiar with the Listening Tools, we don’t require it. We think the mentoring we give is useful regardless of the level of experience you have with Hand in Hand. If you are experienced with using this approach in your family and want to hone these skills in your line of work, then the mentoring serves to help you go deeper into the approach and understand how to share it well with your clients. Otherwise, the mentoring serves as an extended introduction to this approach. What is it like to be in the Professionals Intensive class? What kind of experience might I expect? The classes will include a mixture of instruction, sharing of personal experience as each participant tries our Listening Tools, mentoring in the use of the approach, and group listening time, based on the tenets of our approach. Participants will learn from one another and from their own personal emotional work in the class. We will focus lightly on the relationship of Hand in Hand Parenting theory to the professional training you have had, so there is time to emphasize the experiential learning you will do at work and at home with the Listening Tools. Do I need to have a professional license before I can take this course? No, we do not require Professionals Intensive participants to have a professional license. However, we do ask that you have a clientele you are working with, as you will be applying these tools in your practice and sharing your experiences from week to week. We suggest you make every effort to attend all the class calls. Being a part of the group is a big part of the learning process. If I decide I want to do the Hand in Hand Parenting Starter Class first, will that be okay? How should I do that? Yes, of course. You are welcome to take any one of our Starter Classes. If you are looking for an in-person class in your area, you can check the Local In-Person calendar page. If you are looking for an online Starter Class, please check the Online Parenting Classes calendar page. Will I be able to teach the Hand in Hand Parenting listening skills to the parents I work with? If so, how would I go about doing that? The Professionals Intensive course will certainly help you add these listening tools to your toolbox, and there are a couple of ways in which you can share these skills with the parents that you work with: You could lead a Parent Resource Group, which is a structured meeting of parents who listen and talk about the things that matter to them as parents. You can find more details about how to do this in our “Leading a Parent Resource Group” booklet, which is available in the Hand in Hand Store. You could organize a Hand in Hand Parenting Study Group, which is a specific type of Parent Resource group, using the guidelines for Leading a Study Group to cover each of the six Hand in Hand listening tools over a period of several weeks, typically six to twelve. If your clients are interested in attending one of our classes, you can certainly encourage them to do so and offer them additional support and guidance through that period. I am not a parent. Is it viable for me to both learn and teach these skills to my clients? Yes. Practicing the Listening Tools is a lot easier when you have a child at home. However, if you have regular access to children through your practice, you’ll be able to practice these tools. Parents tend to trust those who are speaking from personal experience, so your ability to teach and work with parents using Hand in Hand will depend on the direct experience you can gather, as well as your ability to listen well to parents, and to use a listener yourself. This class will also establish a model for skillfully and sensitively supporting parents in either group settings or one-on-one. Will there be opportunities for individual and group consultations after the Professionals Intensive class as I incorporate these tools into my practice? Individual consultations are always available, for an additional fee. With sufficient interest, group consultations may be possible as well.